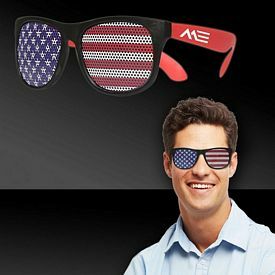 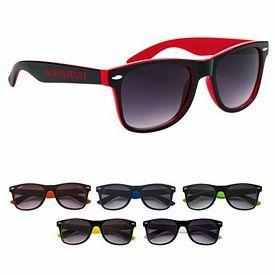 The Executive Advertising offers promotional sunglasses that make great giveaways for schools, athletic events, or college parties. 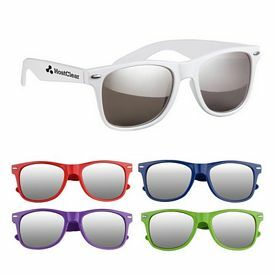 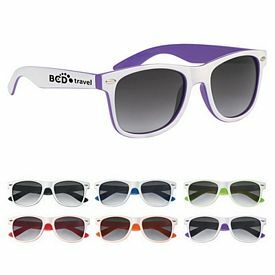 Customized sunglasses make great promotional products for your school because they are useful products that students will love. 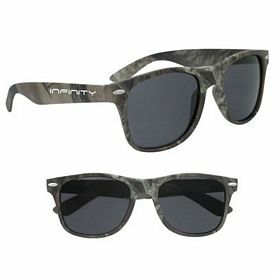 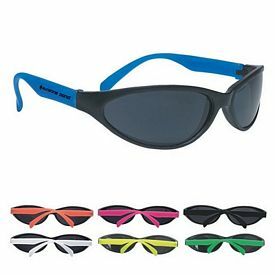 We offer some of the best and most affordable imprinted sunglasses. 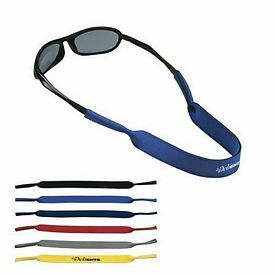 We also offer custom neck straps for sunglasses. 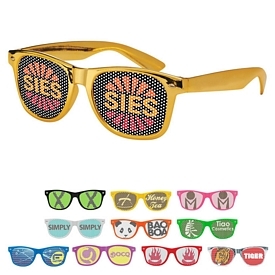 Our personalized sunglasses are sure to make your customers happy and increase your school’s reputation. 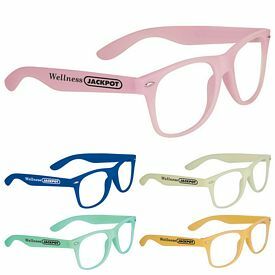 Children will love our custom Glow in the Dark with clear lenses. 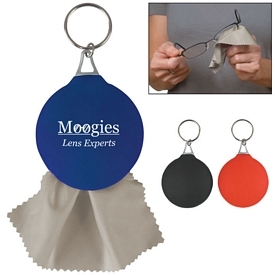 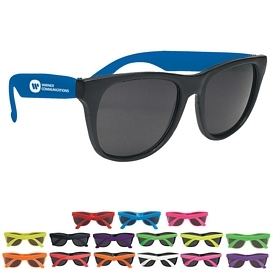 These promotional sunglasses are great for any parties or fun night-time events. 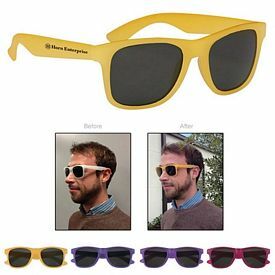 These custom sunglasses have to be held under normal light for thirty seconds before use. 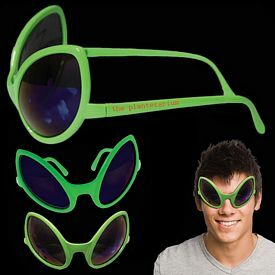 These promotional sunglasses glow green and will light up the night. 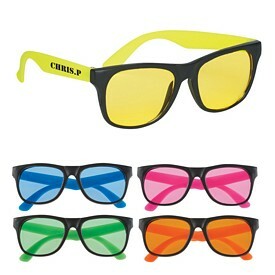 We offer these custom sunglasses in a variety of colors. 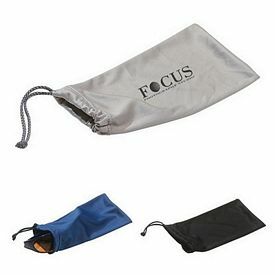 Our logo sunglasses can be folded so that you can easily store them. 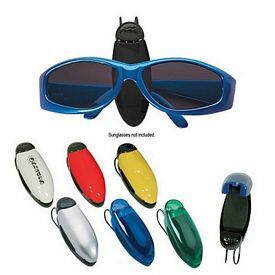 Some of our products even offer UV400 lenses that will provide 100% protection from UV rays. 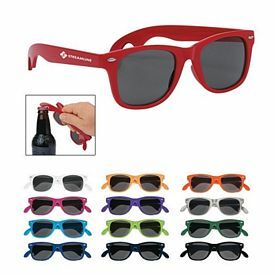 Our imprinted sunglasses make a great gifts for your employees as well as your customers. 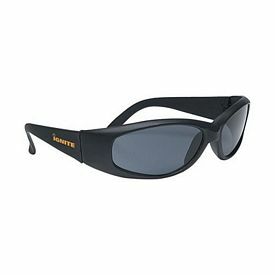 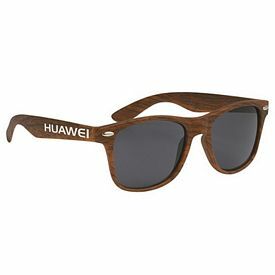 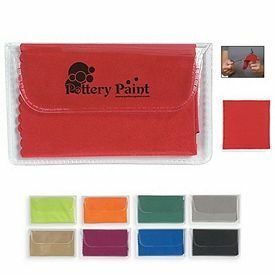 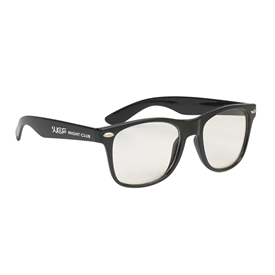 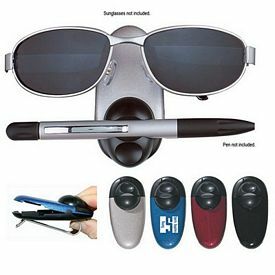 Providing your employees with these unique promotional sunglasses will show them how much you appreciate their hard work. 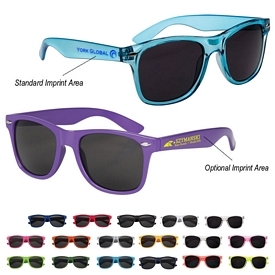 We offer custom sunglasses with lenses that come with 4-color process printing. 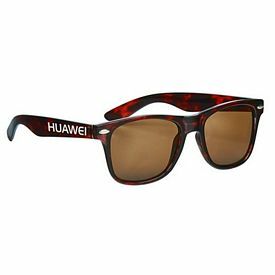 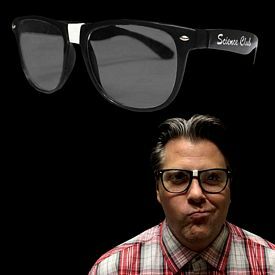 These custom sunglasses are unique because they allow you to print your design on to the lenses of the sunglasses. 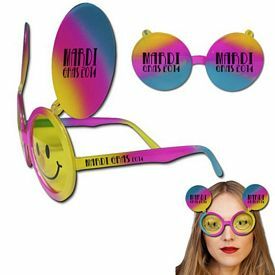 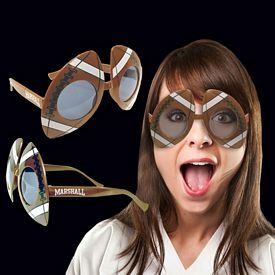 Your customers are sure to notice these fun and distinctive sunglasses. 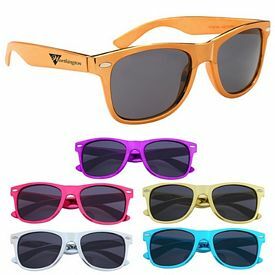 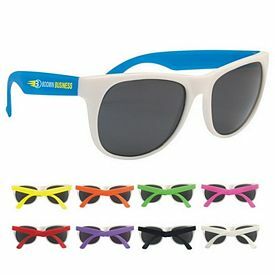 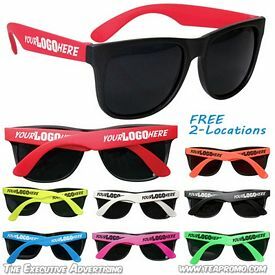 These promo sunglasses make great giveaways at sporting events because they give your event great exposure. 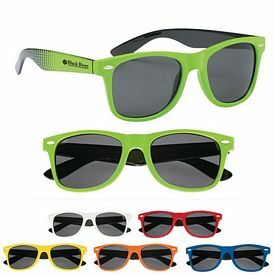 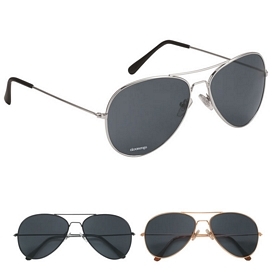 We offer a wide variety of custom sunglasses, so be sure to pick the ones that fit your company best. 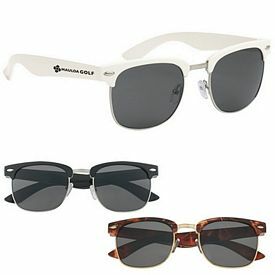 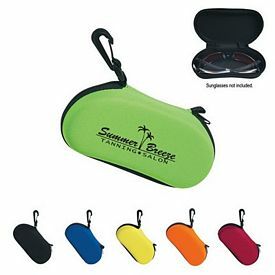 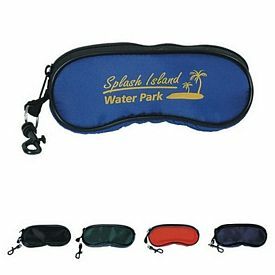 We offer custom sunglass neck straps and sunglass cases that make great accessories to promotional sunglasses. 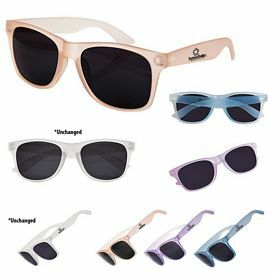 Our branded sunglasses come in many colors that people of all ages will love. 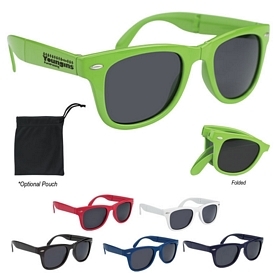 Along with the many colors available, our custom sunglasses also come in children’s sizes. 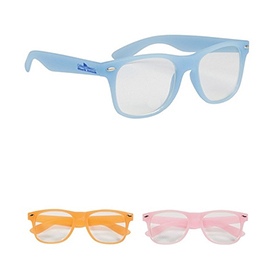 Our logo sunglasses are made from sturdy materials, which makes them perfect for kids. 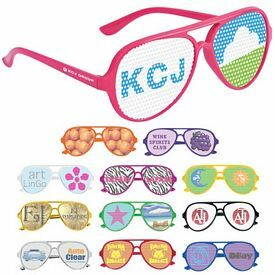 Children’s promo sunglasses are great for your company because they are fun for the kids, and they do a great job of advertising your company all at once. 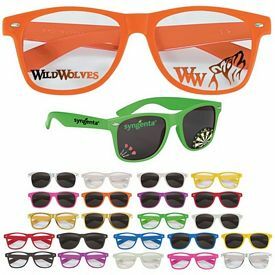 We offer customized sunglasses for all occasions, including sporting events, charity events, school events, or any other type of promotional event. 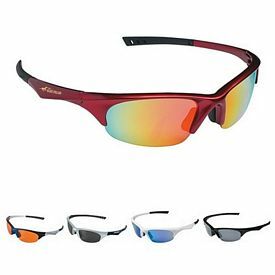 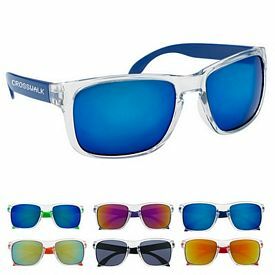 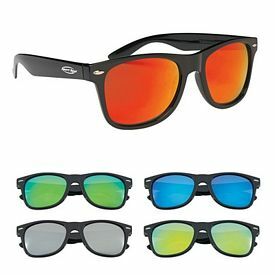 Custom sunglasses are excellent for all out-door occasions, so take a look at our website and select the promotional sunglasses that work best for your company. 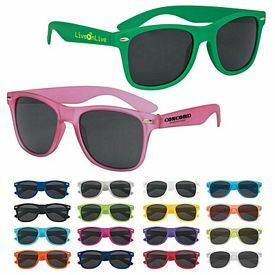 Contact us today for the best prices on customized sunglasses.